At St Joseph’s Catholic School we believe that there are eight principles to promoting the wellbeing of children. 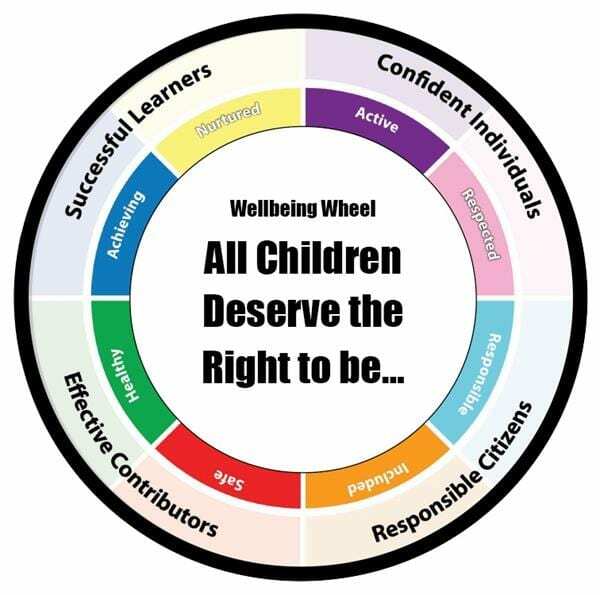 These are Active, Respected, Responsible, Included, Safe, Healthy, Achieving and Nurtured and they can be seen in the wellbeing wheel below. Click on a subheading for further information about each of these eight principles.